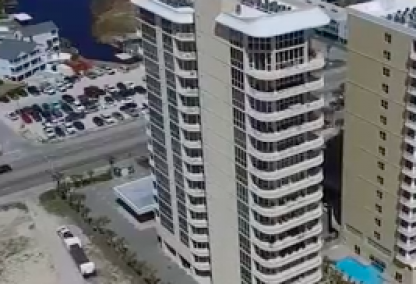 Like us on Facebook for aerial videos and Gulf Coast news OR Like one of our Facebook condo pages and receive new listings and condo-specific info for any Gulf Shores condo or Orange Beach condo. 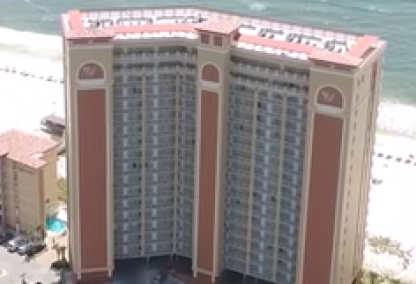 Find aerial images with the condos labeled to gather great perspective and find out what sits around each Gulf Shores condominium and enjoy exclusive aerial imagery of the beautiful Gulf Coast. ReadThis condo development was built in 1985 and is located in central Gulf Shores next to Sea-N-Suds restaurant. Boardwalk units are 1-3 bedrooms and are direct gulf-front with unimpeded views of the Gulf of Mexico. Boardwalk is within walking distance of the Gulf Shores State Park fishing pier and the Gulf Shores Hangout. ReadBuilt in 1983, Buena Vista is a low-density condo development with only 34 units ranging in size from 1,050 to 1,250 square feet. Buena Vista is located in the West Beach area of Gulf Shores, but not all units directly face the Gulf of Mexico and some of the condos offer partial or indirect Gulf views. Buena Vista is very close to downtown Gulf Shores and a wide range of restaurants and entertainment venues. ReadBuilt in 2000, Caribbean is located in the popular West Beach area of Gulf Shores and is only a couple of minutes from downtown. The development is comprised of 32 units with one and two bedroom floor plans ranging from 770 square feet to 1,058 square feet of living space. The Caribbean is very close to downtown Gulf Shores and a variety of entertainment venues and restaurants. Amenities include indoor/outdoor pool, BBQ area, fitness center, steam room and sauna. 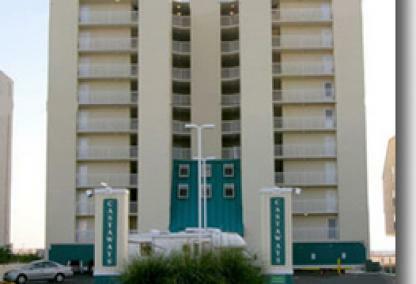 ReadCastaways condo development has 36 units and was built in central Gulf Shores in 1984. The floor plans in Castaways are all two- and three-bedroom condos ranging from 1,200 to 1,700 square feet. All of the units in the condominium offer unobstructed views of the Gulf of Mexico. Amenities include a seasonally heated outdoor pool and exercise facility. Castaways is just a short walk to The Hangout, Pink Pony Pub, Hooters, Island Grill, and a variety of shopping venues and other attractions. 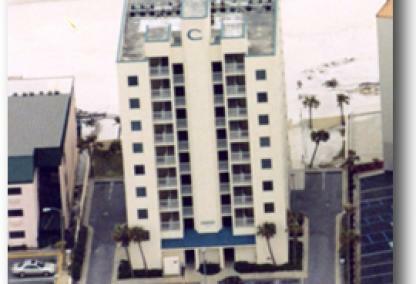 ReadLocated in East Beach of Gulf Shores, Clearwater is a gulf front condominium holding 32 units and was built in 1998. The floor plans in Clearwater are all one- and two-bedroom condos ranging in size from 650 to 950 square feet. The development is centrally located and is within walking distance to many Gulf Shores attractions. 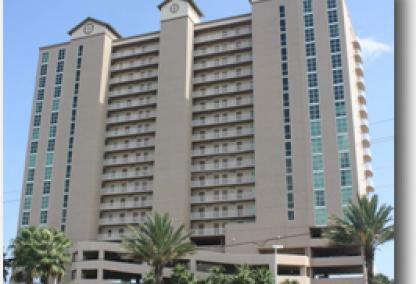 Clearwater condominiums is a great generator of rental income and is widely considered an ideal rental/investment property on the Gulf of Mexico. ReadCrystal Shores was built in 2004 in the West Beach area of Gulf Shores. This 88-unit, gulf-front development is comprised entirely of two-bedroom condos approximately 1,000 square feet each. The condominium offers a great amenity package with a swim-through outdoor/indoor pool, exercise facility with gulf views, sauna, and game room. Crystal Shores is one mile from downtown Gulf Shores and a short walk to nearby restaurant, Bahama Bobs. ReadCrystal Shores West was built in the West Beach area of Gulf Shores in 2006. The gulf-front condominium is comprised of two- and three-bedroom gulf-front units ranging in size from 1,080 square feet to 1,529 square feet. The complex has an indoor and an outdoor pool, fitness center with gulf views, sauna, game room, and grilling area. Crystal Shores West is roughly a mile from downtown Gulf Shores and short walk to Bahama Bobs, a gulf-front restaurant. ReadBuilt in 2006, Crystal Tower is a 20-story condominium comprised of 170 units. The development is located just across the street from the Gulf and features a pedestrian bridge to the beach. All condo units are 2 bedroom/2bathroom with living space a little over 1,000 sq. ft. Crystal Towers offers a superior amenity package including a gulf-front pool, indoor heated pool, game room, hot tub, steam room/sauna, and each unit providing spectular views of the Gulf of Mexico and Little Lagoon. 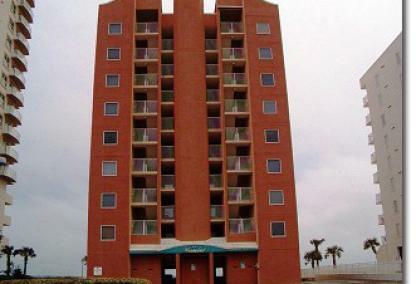 ReadBuilt in 1983, Driftwood Towers is ideally located close to downtown Gulf Shores approximately one-half mile away. All units are two bedroom/ two bath layouts averaging 970 - 1,036 square feet and offer direct views of the beaches and Gulf of Mexico. Amenities at Driftwood Towers include an outdoor pool, grilling and picnic area. and onsite parking. The complex is walking distance to The Hangout, entertainment venues, shopping, and restaurants. 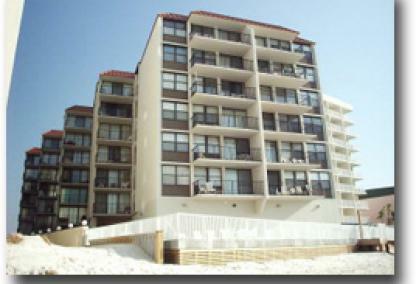 ReadGulf House condominium is located in the heart of Gulf Shores on East Beach. 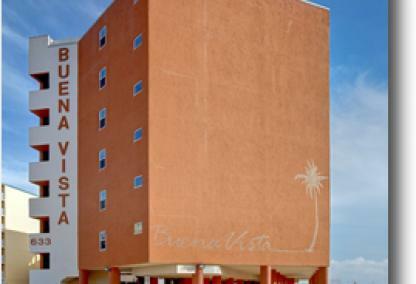 This six-story, 36-unit complex is situated right on the beach. Each unit has two bedrooms and either one or two bathrooms and offer a view of the Gulf of Mexico, as the building is staggered going back from the beach. Gulf House is less than one mile from downtown Gulf Shores and is walking distance to popular restaurants and attractions including Sea-n-Suds and the Gulf Shores State Park fishing pier. ReadGulf Shores Plantation is a semi-private community located next to world-class golf resort, Kiva Dunes. Approximately 12.5 miles down Fort Morgan Rd, the development is comprised of condominiums and single-family homes with direct & indirect gulf views. The community offers an excellent amenity package that includes 6 outdoor pools, indoor heated pool & hot tub, 8 tennis courts, onsite restaurant, sauna, exercise facility, putting green, and BBQ grilling area. 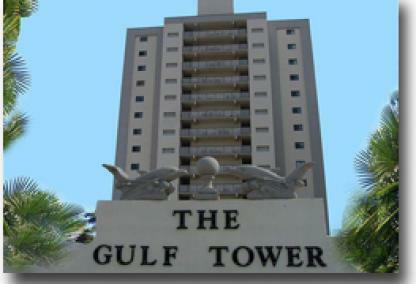 ReadBuilt in 1984, Gulf Tower condominium is centrally located in Gulf Shores on West Beach. It was one of the very first high-rise condominium projects with 14 stories. This beachfront condominium holds 49 units and offers two and three bedroom plans with living space ranging from 1,000 to 1,700 sq. ft. Gulf Tower features a large outdoor pool, sundeck, a gazebo, BBQ grills and is pet-friendly for owners. The complex is approximately 1 1/2 miles away from the popular Gulf Shores Hangout. 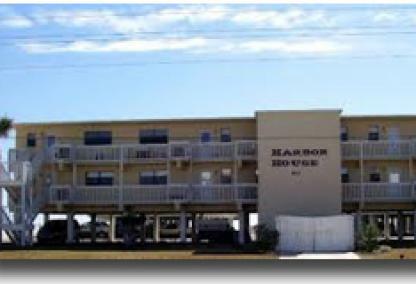 ReadBuilt in 1984, Harbor House is a gulf-front, low-density condominium in the West Beach area of Gulf Shores. Consisting of 31 units, Harbor House offers two-bedroom plans averaging 800 square feet and also features three-bedroom penthouse suites. Onsite amenities include an gulf-front pool and BBQ area. The complex is right across the street from Pier 33 convenience store and is walking distance to numerous restaurants, shopping outlets, and entertainment venues. 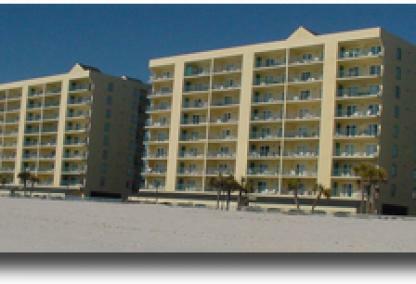 ReadIsland Royale was built during 2002 in the West Beach area of Gulf Shores and is a popular rental property in town. Consisting of 84 units, this condominium offers a two or three bedroom plan with living space ranging from 1,000 to 1,300 sq. ft. Property amenities include a swim-thru outdoor/indoor pool, hot tub, exercise facility, sauna, and BBQ area. Island Royale is across the street from Pier 33 grocery store and is minutes from restaurants, shopping, and entertainment. 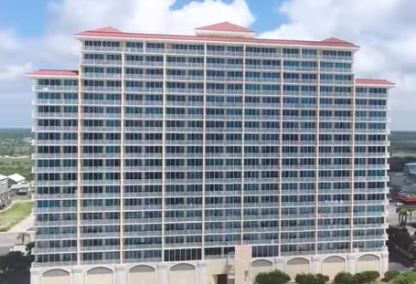 ReadDeveloped in 1981, Island Shores condominium is one of the earliest condo developments built on the beach in Gulf Shores. Consisting of 59 units, the floor plans are 2-bedroom/2-bathroom in addition to 3-bedroom/3-bathroom plans on the east end of the building. 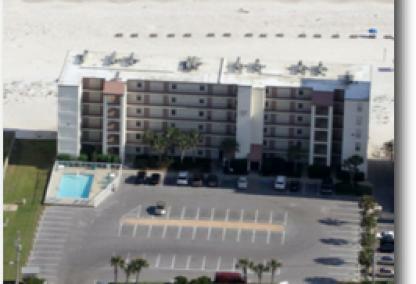 The complex offers great gulf-front views, an outdoor pool, BBQ area, and laundry facilities. Island Shores is located a half-mile from the "T" in Gulf Shores and is within walking distance to numerous shops and restaurants. 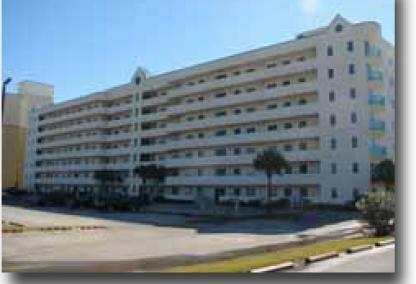 ReadBuilt in 1982, Island Sunrise consists of 60 units and is centrally located in Gulf Shores. Floor plans are either one or two bedrooms and range from 660 to 950 square feet. The complex offers an outdoor pool, BBQ terrace, and a covered area with swings and picnic tables. 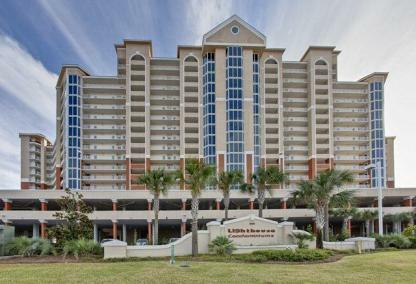 Island Sunrise is in the heart of downtown and within walking distance to numerous restaurants, shops, and attractions such as the Gulf Shores State Park fishing pier. ReadIsland Winds East and West were developed and completed in the late 1980's. Both East & West buildings offer one, two, and three bedroom floor plans ranging from approximately 500 sq. ft. to 1,300 sq. ft. Island Winds is the closest condominium to The Hangout, shops, and other attractions giving it high rental revenue in the Gulf Shores area. Property amenities include an outdoor pool, onsite management, meeting room, and grilling area. 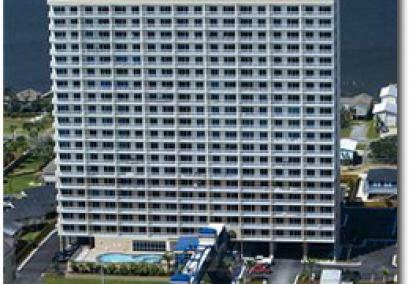 ReadOut of all of the Gulf Shores condos for sale, a unit for sale in this gulf-front building is probably your best option as an investment condo. 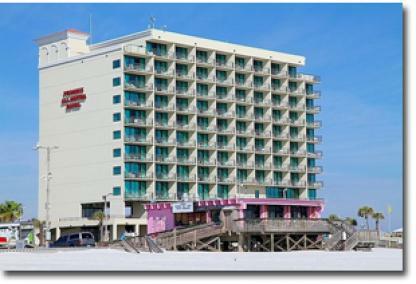 The Lighthouse is a popular building with a huge pool deck and over 600 feet of private beach on the Gulf of Mexico in Gulf Shores Alabama. The Lighthouse is comprised of one, two, three & four bedroom condos with each unit directly facing the gulf. The Lighthouse is a short walk from the Gulf Shores Hangout and several restaurants in the downtown area. ReadMartinique on the Gulf is a quaint beach community located approximately 11 miles west on Fort Morgan Rd. From these residences, you can easily walk to either the beaches of the Gulf of Mexico or the serene waters of Mobile Bay. The gated development offers an exceptional amenity package such as tennis courts, fitness center, and two onsite clubhouses with pool and spa facilities. Martinique is adjacent to Bon Secour National Wildlife Refuge and close to numerous biking and nature trails. 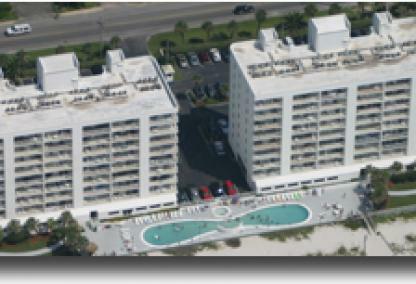 ReadOcean House I & II are mid-rise condominiums in the West Beach area of Gulf Shores. Developed in 1995, these condominiums offer two and three bedroom units with living space of approx. 950 sq. ft. and 1,300 sq. ft, respectively. Property amenities include an outdoor pool, kiddie pool, fitness center, BBQ area, gazebo, and sundeck on the top floor with a large whirlpool. This popular condo development is located 1 mile west of Gulf Place, The Hangout, and other restaurants. ReadBuilt in 2006, Oceania is a luxury condo development with one unit per floor. All condos are 4-bedroom units with vast floor plans at 4,000 square feet and feature floor-to-ceiling windows and wrap-around balconies providing views of the Gulf of Mexico and Little Lagoon. Oceania is a rent-restricted condominium. The property has plentiful amenities, including a gulf front pool, indoor heated pool, hot tub/spa, BBQ area, meeting room, and covered parking. 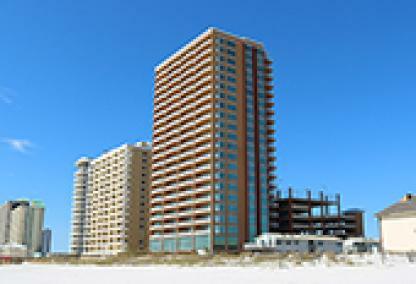 ReadPhoenix Gulf Shores is the newest condo development on West Beach. The 80-unit condominium will feature luxury accommodations including floor-to-ceiling glass windows, upgraded appliances, granite counters, wet bar, and 35 ft balconies. Units are spacious three or four bedroom plans with living areas from 1,717 to 1,948 square feet. The complex offers a fantastic amenity package with zero-entry outdoor & heated indoor pools, tennis courts, fitness room, and covered multi-level parking. ReadPlantation Palms is located off Fort Morgan Rd just outside Kiva Dunes. 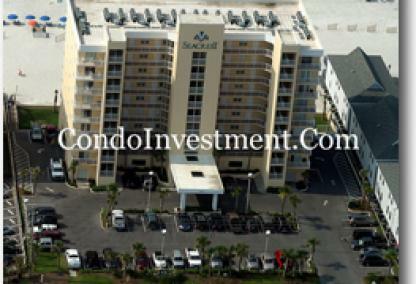 Built in 1998, the condominium consist of 84 units that provide full and partial gulf views. The complex offers 1, 2, and 3 bedroom floor plans ranging from 600 to 1,000 square feet. Plantation Palms has a great amenity package consisting of a beachfront pool, indoor heated pool, hot tub, sauna, BBQ area, exercise room, and a clubhouse. Downtown Gulf Shores, restaurants, and entertainment is approximately 20 minutes away. 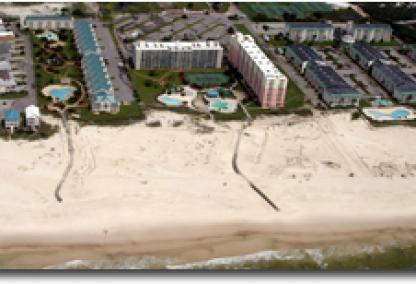 ReadRegatta condominium is one of Gulf Shores oldest beachfront developments built in 1980. This three-story, 49-unit, wood-framed complex offers both two and three bedroom floor plans ranging from 928 to 1,300 sq. ft. Regatta offers an outdoor pool, BBQ area, on-site management, and owners are allowed to have pets. 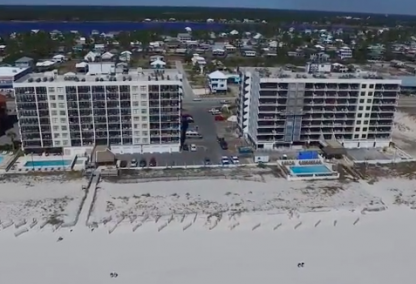 Due to it's convenient location, Regatta is one of the most popular condos on the beach in Gulf Shores and is the closest to the Gulf Shores Hangout. ReadThe Resort Conference Center is located in the Kiva Dunes community on Fort Morgan Road. Built in 1985, the development consists of 107 individual units with 1BR & 2BR floor plans ranging from 500 to 900 square feet. Amenities for the Resort Conference Center include an indoor heated pool, kiddie pool, gulf front pool, exercise room, BBQ area, gazebo, spa / hot tub, sauna and a tennis & racquetball courts. Shopping, entertainment, and restaurants are just a 20 minute drive. ReadRoyal Gulf Beach & Racquet Club is located just off Fort Morgan Rd and approximately 14 miles west of Hwy 59. Built in 1984, This condominium is comprised of 141 condo units. The floor plans range from 2 bedrooms to 3 bedrooms ranging from 800 to 1,200 square feet of space. Amenities for Royal Gulf Beach & Racquet Club condos include a tennis/racquetball area, outdoor pool, hot tub, exercise room, BBQ area, & more. Several golf courses and restaurants are close to the development. 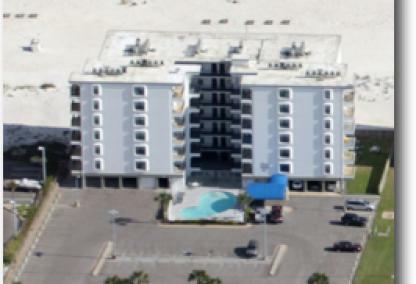 ReadRoyal Palms is a 101-unit condominium set directly on the beach of Gulf Shores. Built in 1999, the complex offers one- and two- bedroom units ranging from approximately 650 to 1,300 square feet. Onsite amenities include a gulf front pool, indoor heated pool, hot tub, steam room, fitness center, and covered parking spaces. Royal Palms is one the best investment condos in the city and is walking distance to restaurants, shopping, and Gulf Shores Hangout. 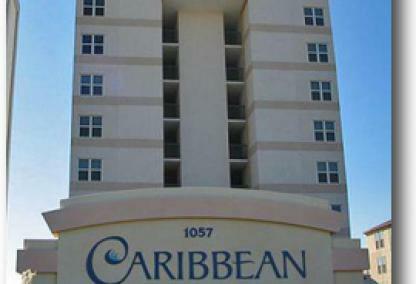 ReadBuilt in 2006, San Carlos is a 142-unit high-rise located in central Gulf Shores. It's consistently one of the top income-producing condos with an amenity package that helps keep it rented in the winter months. San Carlos offers two or three bedroom units with living area ranging from 1,229 to 1,568 sq ft. Amenities include an outdoor pool, sauna, exercise room, & BBQ area. The development is a short walk from the Gulf Shores Hangout, downtown Gulf Shores, and the Gulf Shores State Park & Pier. 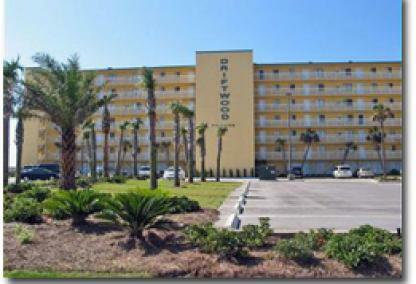 ReadBuilt in 1984, Sandpiper is a condominium just 1.5 miles from downtown Gulf Shores and Hangout. Consisting of 48 units, the complex offers all two-bedroom floor plans with living space averaging 850 square feet. These cozy condos offer mostly indirect views of the Gulf of Mexico. Sandpiper amenities include an outdoor pool, BBQ area, and covered parking. Restaurants, stores, and other Gulf Shores attractions are a few minutes away. 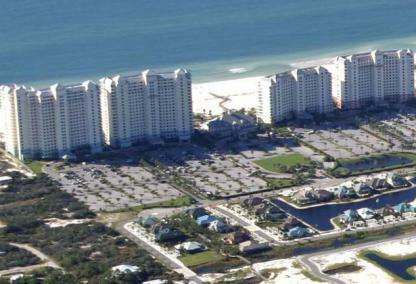 ReadDeveloped in 1996, Seacrest is a gulf front condo development approximately 1.5 miles west of downtown Gulf Shores. These condos are available in 1BR/1BA and 2BR/2BA floor plans with hallway bunks for additional sleeping accommodations. Corner units feature a private balcony off the master suite with views of Little Lagoon. Property amenities include a beachfront pool, hot tub, gazebo, and BBQ area. 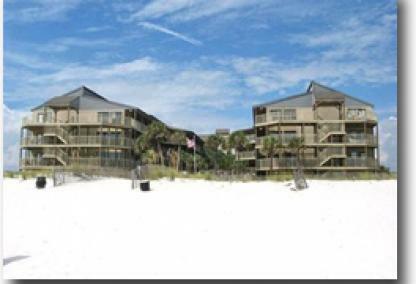 Seacrest is in a prime location close to the Hangout and other Gulf Shores attractions. 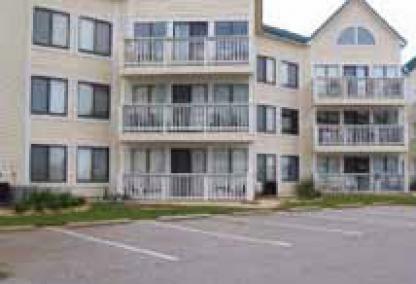 ReadSeawind is a 155-unit condominium located in central Gulf Shores and is a great income-producing development due to it's prime location. 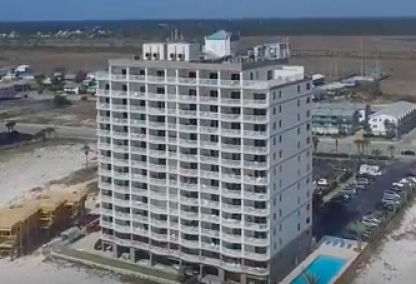 The building sits next to a popular beachfront restaurant, Sea-N-Suds, and is only a half-mile walk to downtown Gulf Shores, shops, and attractions. Seawind offers two or three bedroom units ranging from 1,130 to 1,725 sq. ft. The property boasts great amenities including an outdoor/indoor heated pools, hot tub, exercise center, sauna, and steam room. 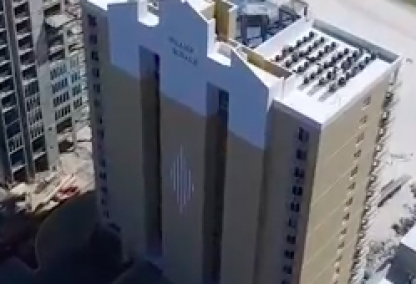 ReadBuilt in 1984, Sun Chase is comprised of 36 individual units offering direct and indirect views of the Gulf of Mexico. All of the Sun Chase condos are two-bedroom, one-bathroom units at approximately 660 square feet. The building's amenities include an outdoor pool, kiddie pool, BBQ area, and a hot tub. Sun Chase is roughly 1.5 miles from the Gulf Shores Hangout, restaurants, bars, shopping, and entertainment. 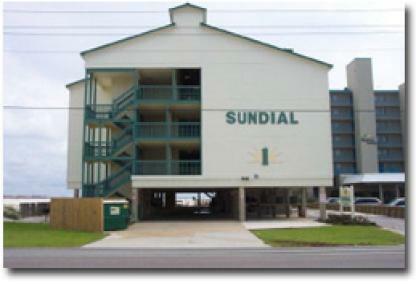 ReadBuilt in mid 1980's, Sundial is an older gulf front condo complex approximately 1.5 miles west of Gulf Shores Hangout and the downtown area. These charming condos offer indirect or direct gulf views and are available in two or three bedroom floor plans ranging from 980 to 1,250 square feet. Sundial features an outdoor pool, BBQ area, and covered designated parking spaces. Residents can reach local restaurants, shopping, and entertainment venues by walking or taking a short drive. 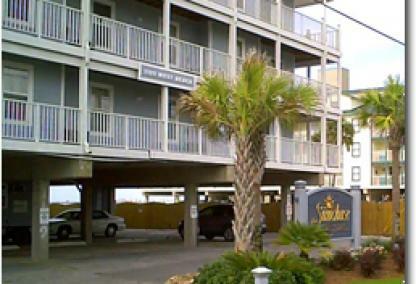 ReadCompleted in 1994, Surfside Shores I & II are located in the popular West Beach area of Gulf Shores. The two mid-rise towers hold approximately 50 units per building. Floor plans are two- and three-bedrooms ranging from 900 square feet to 1,200 square feet. Surfside Shores features an outdoor pool, kiddie pool, BBQ area, and guarded entrance. 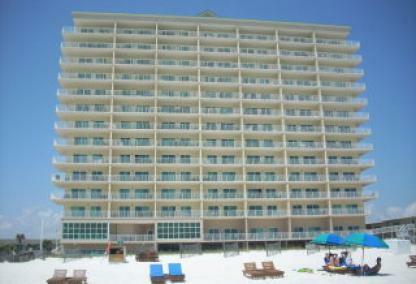 These gulf-front condos rent very well and are less than 1.5 miles away from downtown Gulf Shores and restaurants. ReadThe Beach Club condos in Gulf Shores were built around 2001 and are located approximately 10 miles West down Fort Morgan Rd. The Beach Club consists of four towers and all of the units offer unbeatable Gulf of Mexico views. The Beach Club features numerous restaurants, a spa, nightly pool-side entertainment, shopping and, beach rentals ranging from chairs to jet skis. Two of our area's top golf courses are within a five-minute drive. 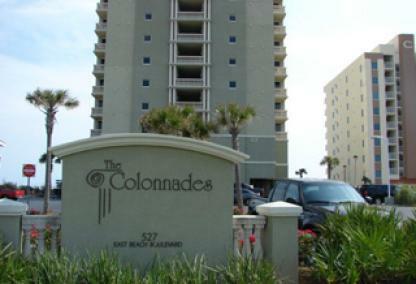 ReadBuilt in 2006, The Colonnades is a luxury condominium with 53 gulf-front units. The Colonnades offer three- and four-bedroom units ranging from 1700 sq. ft to 2100 sq. ft. The development is less than a mile from downtown Gulf Shores and is close to the Alabama State Pier and State Park. Amenities include an owners library, theater, and indoor heated pool with retractable roof. The condos feature floor-to ceiling windows, upgraded flooring, wet bar, jacuzzi tub, and other upgraded finishes. 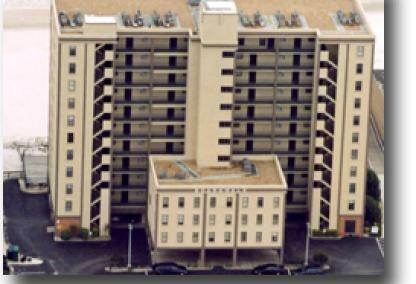 ReadWestwind is a 9-story, 30-unit condominium located in the West Beach area of downtown Gulf Shores. Built in 1997, Westwind features one and two bedroom floor plans ranging in size from 600 to 960 square feet. This building is designed to provide every unit with direct Gulf views. Property amenities include outdoor pool, beach shower, and grilling area. Westwind is one mile from downtown Gulf Shores, Gulf Shores Hangout, shops, and other attractions. 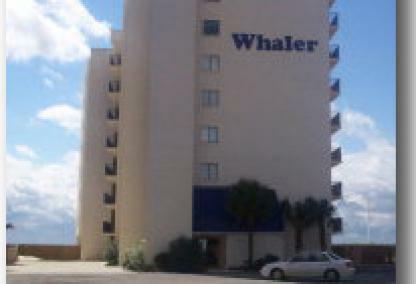 ReadThe Whaler is a beachfront 27-unit complex and was built in central Gulf Shores in 1984. The Whaler consists of two-bedroom/two-bathroom units, as well as a few three-bedroom units. Each unit is positioned within the complex to give it a staggered view of the Gulf of Mexico and beach. The complex offers an outdoor pool and BBQ area. The Whaler is within walking distance to The Hangout and other attractions in downtown Gulf Shores which increases its value and income. There are a number of exciting things to do in Gulf Shores, one of which is to visit Gulf State Park. The Lighthouse and Colonnades are both within easy walking or biking distance to Gulf State Park, with its numerous hiking trails, Shelby Lake, and camping grounds. 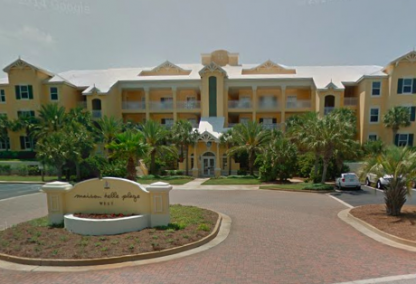 The Gulf Shores Hangout will undergo renovations, Gulf Place, is the site of a number of music festivals and other events each year and there are a few condominiums just minutes away, including San Carlos and Seawind. 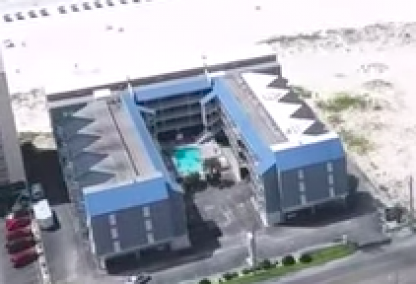 One of the larger condo resorts in Gulf Shores is The Beach Club. With several pools, a fitness center, live music, a restaurant, and shopping all in one location, The Beach Club is a destination in and of itself. Some of these upscale condos are more low-density for visitors and potential residents who prefer a quieter atmosphere. Both Island Tower and Crystal Shores have less than 100 individual units, making them ideal for a quiet vacation or a second home. 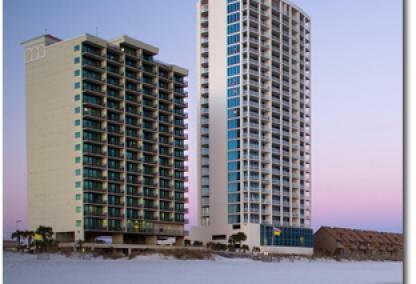 The amenities at Gulf Shores' beachfront condominiums typically include an outdoor Gulf-front pool with a spacious sundeck and direct access to the beach via private boardwalk. An indoor pool is available for the occasional rainy day. Fitness centers and tennis courts are also popular amenities in Gulf Shores condos. The sunny weather and warm temperatures are perfect for a game of tennis with friends or family. Outdoor grilling areas are also popular, especially with so many fishing enthusiasts hoping to get their dinner fresh from the Gulf or Little Lagoon and then grill it up themselves. 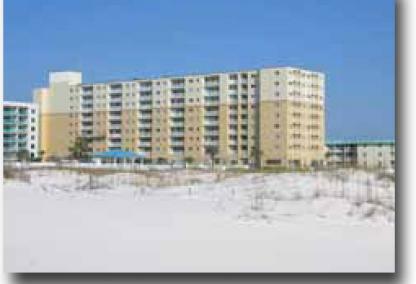 Beach front condo developments in Gulf Shores, AL started booming in the 1980s. Some of the very first Gulf Shores condos for sale to grace the beaches include Island Winds East & West. These gulf facing condominiums are set in a great location and are the closest condos to main public beach spot Gulf Place, The Hangout, shopping, and restaurants. Although older, these condos cost considerably lower and make ideal investments offering the same stunning Gulf of Mexico views as the newer developments and are just steps from the soft powdery sands. Other older, low-rise developments close to downtown Gulf Shores include Westwind, Harbor House, and Island Shores. If you are looking for recently built condominiums, one of the newest developments in the area is Phoenix Gulf Shores located on West Beach less than a mile from Hwy 59 & Beach Blvd intersection. The condominium will feature a multi-level parking garage, indoor/outdoor pools, sauna, and gym and will hold 80 well-appointed units with floor-to-ceiling windows, wet bars, and large kitchens with stainless steel appliance packages. Orange Beach is very similar to Gulf Shores and there's usually about the same number of Orange Beach condos for sale as Gulf Shores does. The trend seems to be that as the prices go up, more listings come on-line. Beach front condos seem to appreciate much faster than residential real estate....probably because there's much fewer condos on the beach.